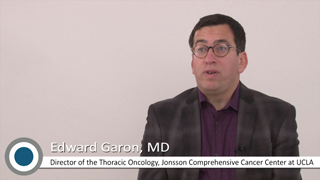 Dr. Edward Garon discusses the use of PD-1 and PD-L1 inhibitors in patients with lung cancer. Dr. Edward Garon believes it's important to recognize that agents without efficacy are not beneficial to the patient despite low toxicity. Dr. Edward Garon shares an anecdote about an interesting NSCLC case from his practice.